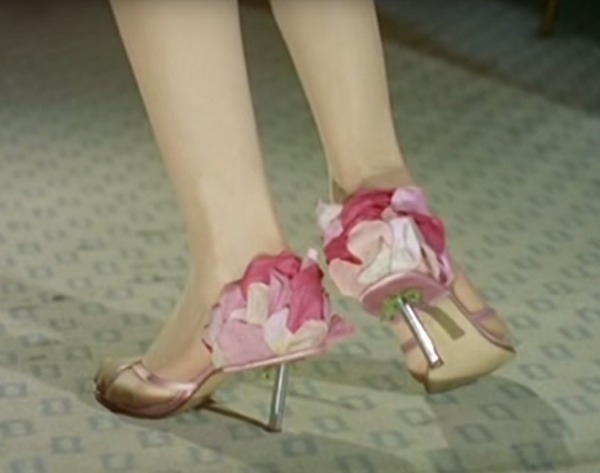 Several designers feature flowers appliqued on leather. 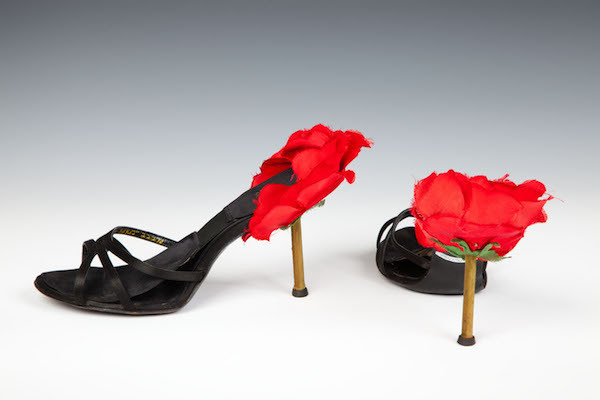 Josephi of Delman, a milliner turned shoe designer, builds one shoe from a fabric rose, with petals forming the bulk of the design, the stem shaping the narrow heel. Only the sole is leather. A similar model - apparently not by Josephi - is kept at the Goldstein Museum Of Design (University of Minnesota). 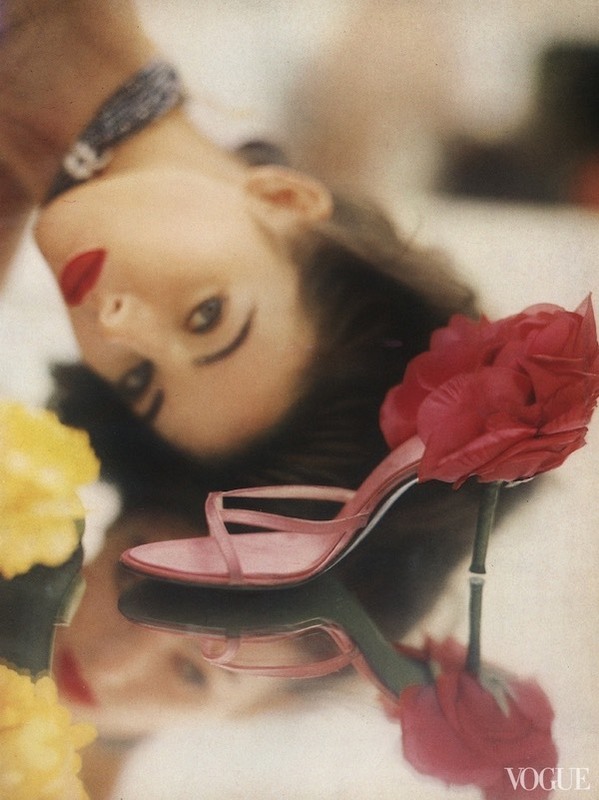 While the same concept (petals as heel) was later adopted by designers such as Pfister and Blahnik, the Frenchman Marc Rakotozanany went even further in 2003 patenting a Josephi replica. 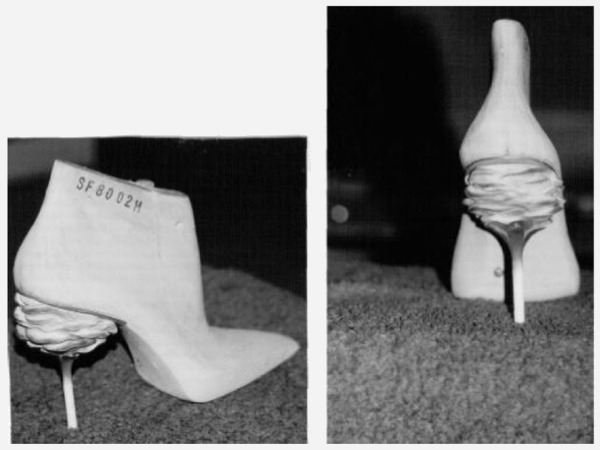 Furthermore, the Josephi stem - a steel cylinder heel - went places, only longer.